Foodista | How Do You Brew? While there are likely dozens of different methods for producing that perfect cup of Joe (a phrase whose origins are still hotly debated), here are descriptions of the most popular brewing techniques - one for every day of the week! 1. 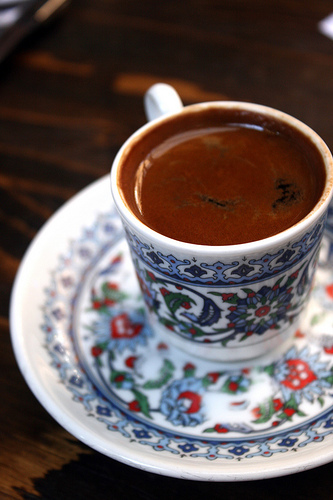 Turkish Coffee Also known as Greek coffee, the name refers to the method of preparation and not the type of beans. This method involves boiling water and finely ground coffee, and sometimes sugar, in a pot known as a cezve (pictured above). The grounds are boiled for several minutes before being poured into individual cups where the brew sits until the grounds settle to the bottom and the drinkable liquid remains on top. 2. Percolator Dating to the mid-nineteenth century, the stovetop percolator involves boiling water in a kettle-like chamber. Once the water begins to boil, it is forced upwards through a metal tube and percolates down into the brew basket filled with grounds and then drips back into the main chamber where the process is repeated. The brewing process is complete when the coffee looks done aka at the discretion of the brew-master. 3. 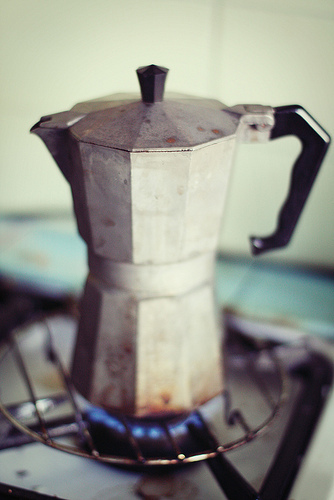 Moka Pot or Stovetop Espresso Producing a strong brew much like espresso, the Moka pot is kind of like the pressure-cooker of the coffee world. Much like the percolator, water is boiled in the bottom chamber until the pressure builds and the hot water is forced up through a funnel-shaped filter full of finely ground coffee and through a spout to collect in the upper chamber. However, unlike percolators, once the water passes through the grounds it remains separate and brewing is complete once all of the water has transferred from the boiler, through the grounds, to the upper chamber. 4. Vacuum Brewer One of the most interesting brewing techniques as far as physics is concerned! Like the Moka pot, the machine requires an active heating element and the water is heated in the lower chamber until expansion forces the steaming water upward into the “reaction chamber” by way of a narrow passage or tube. The water remains in the upper chamber with the ground coffee until the lower chamber is empty and the coffee has had enough time to proper steep. When the process is complete, simply remove the brewer from the heating element and the liquid will be sucked back down (through a strainer) into the lower chamber at which point it is ready to drink! 5. Espresso Not really a method for brewing coffee, but still - how could you write about the types of coffee production and omit the most well-known type of preparation? 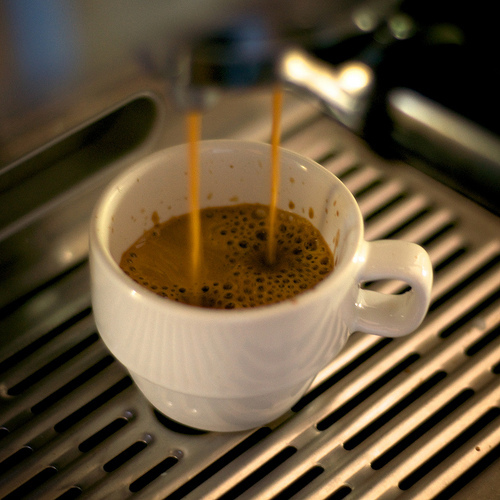 An espresso machine works by passing very hot liquid through a tightly-packed cake of finely ground coffee. Espresso itself is thicker and almost syrup-like compared to drip or pressed coffee and has a much more intense flavor. The espresso shot has three parts - the heart, body and crema. The heart, the dark brown portion at the center and base of the shot is where the bitter flavor comes from. The body takes up the most volume and is a rich caramel color, providing the typical “coffee taste”. Finally, the crema is the thin golden or reddish layer floating on the top and contains the aromatic qualities of the espresso as well as the finer flavor notes and sweetness to balance the bitterness of the heart. The only caveat? The espresso shot “expires” after about 10 seconds, at which point the heart consumes the body, the crema evaporates and the shot blackens and turns bitter. Why doesn’t your latte taste like this? Because the added proteins from milk or cream arrest the process and preserve the sweetness of the crema. 6. Drip Coffee (dripolator) Probably the most common type of brewing in the United States and the primary type of machine used in commercial venues. 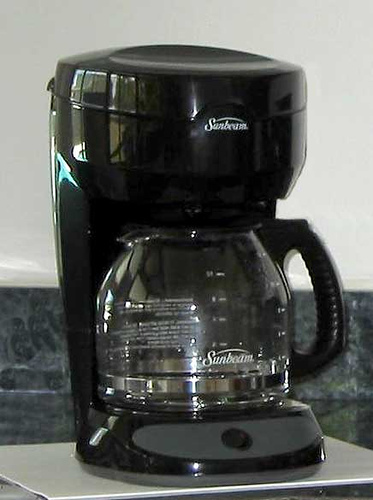 Here, the machine heats the water which, once hot, is poured over a bed of ground coffee which rests in either a paper or mesh flat-bottomed filter. The water and coffee steep together as the water drains through the grounds and filter and drips into the pot or insulated carafe. 7. 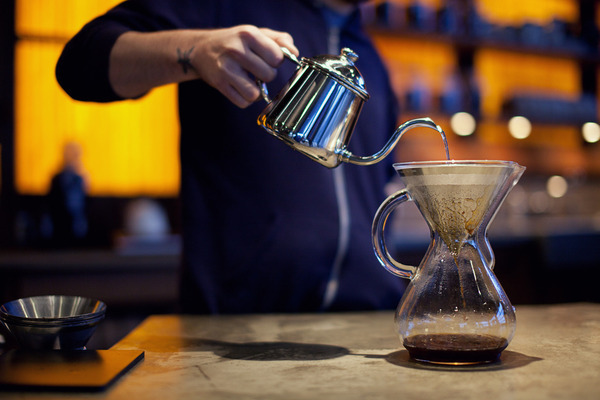 Pour Over Most similar to the drip process and thus producing the most similar flavor, a pourover brewing involves placing coffee grounds in a metal or paper filter in a plastic/metal/ceramic holder suspended over an individual cup or carafe. 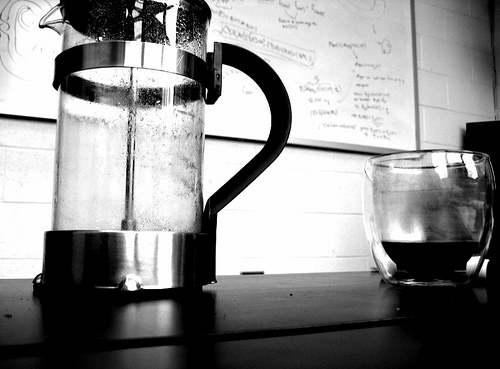 Hot water is then poured over the grounds and passes through the filter and directly into the cup or held in a carafe. 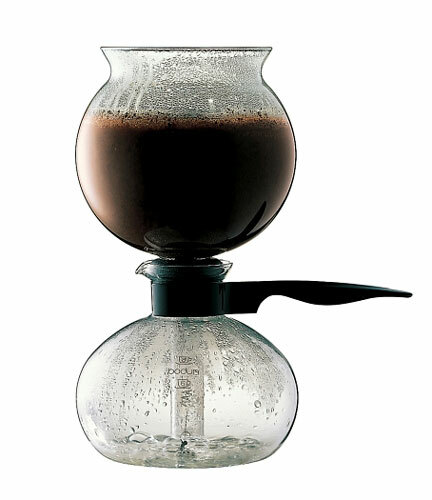 Pictured above, the Coava Kone is a mesh cone designed for pour overs (rather than a typical Gold Cone which is designed to replace flat-bottom dripolator filters) and, in addition to looking totally rad on the counter, it allows the coffee oils to pass through the filter and into the cup, making for a richer and more complex flavor. 8. French Press One of the quickest and easiest processes, producing brewed coffee which is considered to be the most-true to the characteristics of the bean. 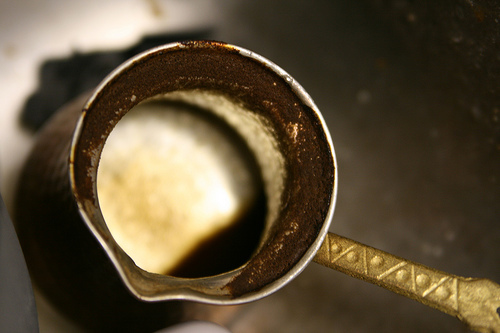 Coarsely ground coffee is placed in the bottom of the press and covered with hot water. The filter is a mesh disk attached to the plunger and lid and, during the steeping process (3-5 minutes), rests at the top of the pot, allowing the grounds and water to mix. When the coffee has finished brewing, the plunger is depressed and the mesh filter squishes the grounds down through the water to the bottom of the pot and keeps them separated from the liquid, both halting the brewing and allowing you to pour off the liquid without the extra fiber of the coffee grounds.